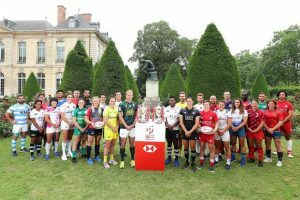 Sixteen men’s and 12 women’s captains lined up side-by-side today in front of the famous ‘Thinker’ sculpture at the Rodin Museum in Paris ahead of the final round of the men’s and women’s HSBC World Rugby Sevens Series. The Jean Bouin Stadium will host three days of thrilling rugby sevens action from 8-10 June as the world series comes to an exciting climax with both men’s and women’s titles still all to play for. There has never been more competitive series’ than this year. 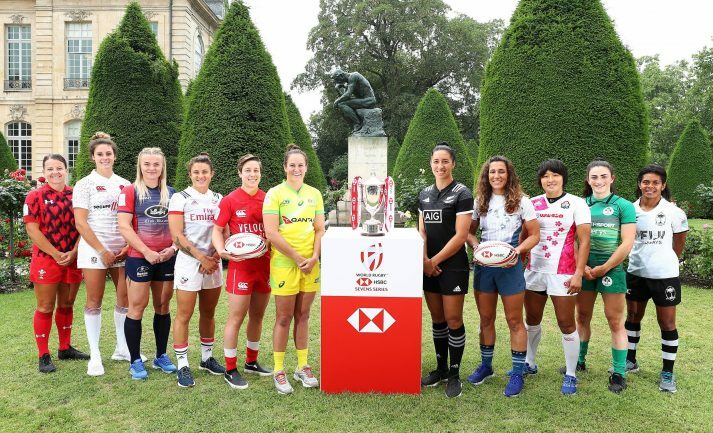 With Fiji only seven points clear of South Africa at the top of the men’s standings, and Australia leading arch rivals New Zealand by just four points in the women’s standings the stage is set for an epic finale to the series in Paris. The action gets underway at 14:00 local time on Friday (GMT+2) with New Zealand taking on England in the women’s event. The men’s competition begins on Saturday with Australia facing Wales in the first game of the day at 09:00 local time (GMT+2). Follow the action on www.worldrugby.org/sevens and @WorldRugby7s on Twitter.